One of the many reasons homeowners choose artificial grass for their lawn is its year-round resilience. Whatever the temperature and regardless of where you live, you can enjoy the look and feel of a green, lush lawn. 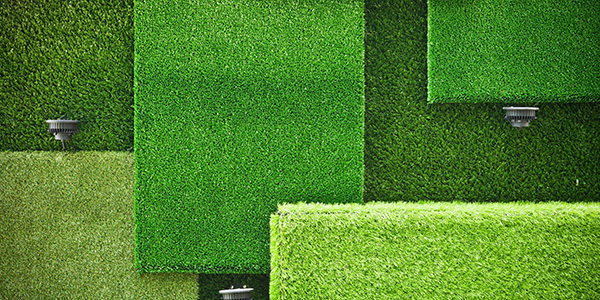 While artificial grass requires relatively little maintenance, the key to keeping your synthetic lawn looking its best is to follow these simple tips throughout the year. Debris Removal: Hand gathering larger debris and trash is the way to go but with leaves, you will probably be successful with a leaf blower. The key when using a leaf blower on synthetic turf is not to point it directly down at/into the turf. If you were to directly aim at the turf, the sheer amount of force would displace the infill from those areas, which would need to be refilled prior to activity in order to be safe. Blowing the leaves away at an angle will prevent this issue. Grooming: Regular maintenance is of the utmost importance for peak performance of your turf in the desired application. During the busy season, though, it is critical to protecting your surface. With your grooming broom, you should be brushing the turf dependent on the application, not only is grooming good for your synthetic fibers, it’s also an great opportunity to be able check your infill levels and to look for possible repairs.